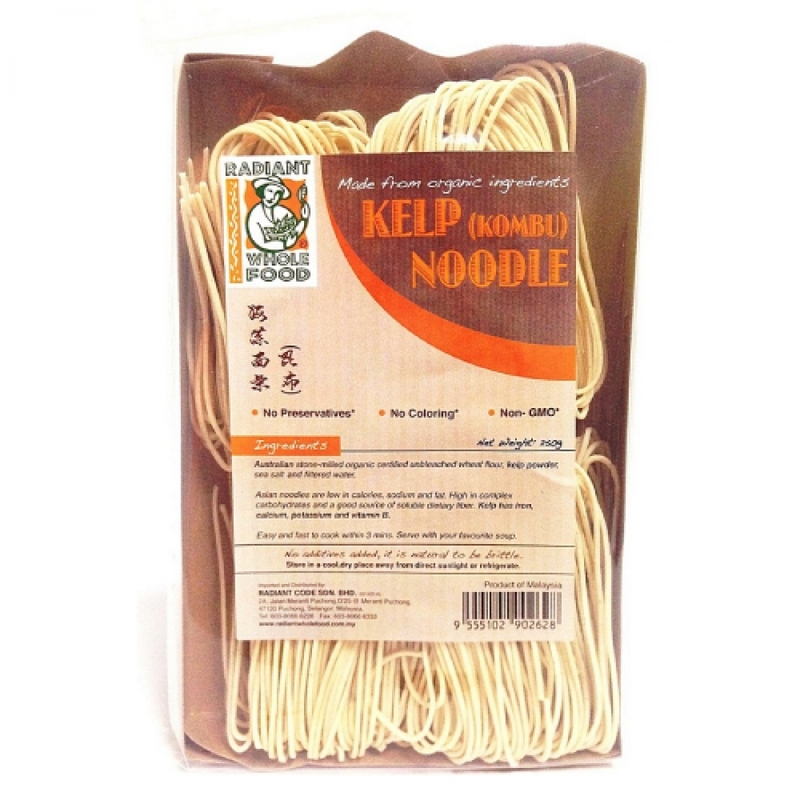 Infused with the goodness of kelp, Radiant Kelp (Kombu) Noodle is satisfying and versatile. This noodle can be used all year round in a wide range of Asian and Western dishes, including piping hot noodles in broth, satisfyingly rich stir fries, and succulent summer salads. Cook the noodles in hot boiling water for 3 mins and drain. It can be served with soup or stir-fried.